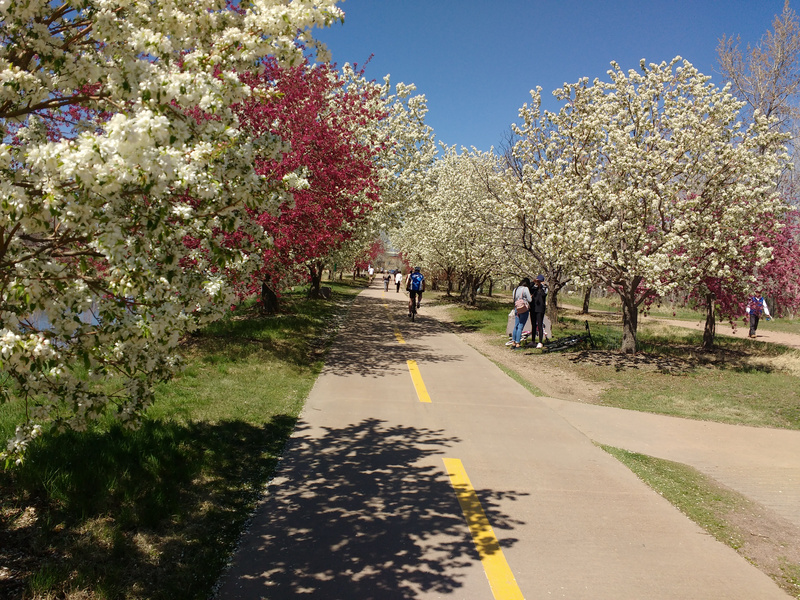 Free high resolution photo of blooming crabapple trees along the South Platte bike path near Denver, Colorado. This image shows a section of the South Platt trail, also know as the Mary Carter Greenway near Hudson Gardens. This picture was taken in spring when the crabapple trees were in full bloom. You can see pedestrians and cyclists enjoying the beautiful weather. Free image for any use.